The following help-sheet demonstrates how a Customer can be setup with a Foreign Trading currency. 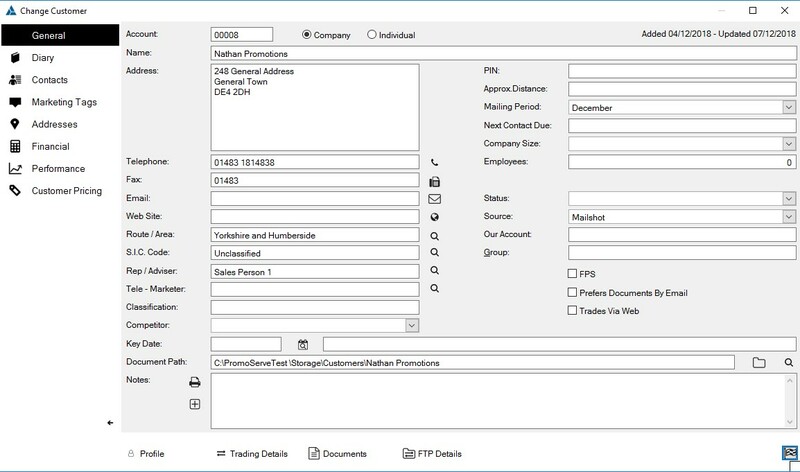 In this example a 'European' customer will be created. 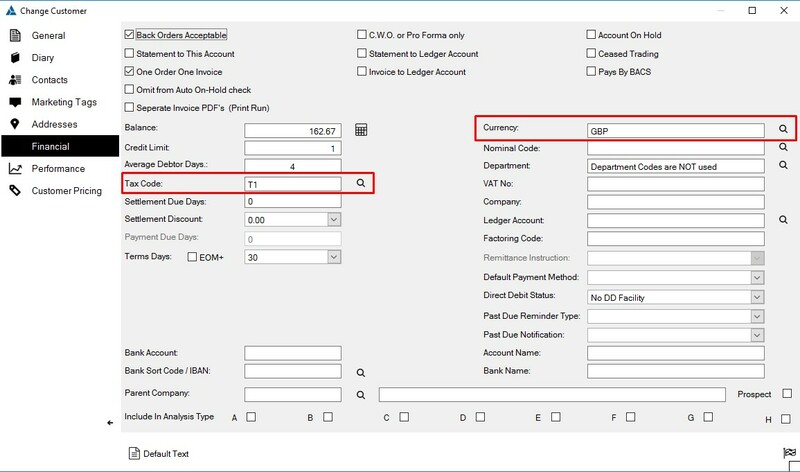 STEP 1 - Under 'General Ledger', select 'Country & Currency Maintenance'. STEP 2 - On entry to the routine the following screen appears. Note this is an example list of countries provided as standard with your Software Package solution. This list can be adjusted accordingly. STEP 3 - To insert a Valid currency rate, click 'Currencies' on the left. STEP 5 - To create a Valid Exchange rate click on the 'Insert' button. 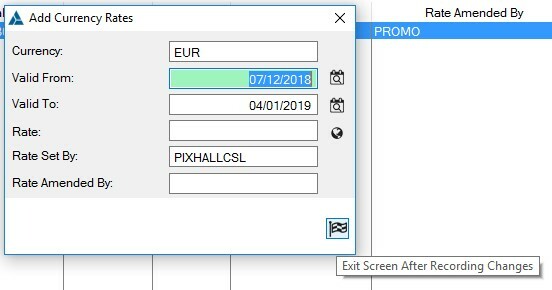 The following screen will be displayed, where you can enter the dates and exchange rate you wish to set, and click on the 'Ok' button. 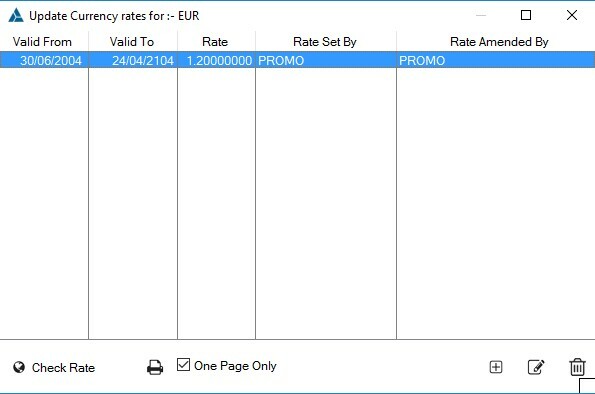 Note the 'Check Rate' button on the previous screen and the 'Globe' Icon to the right of the 'Rate' textbox launched internet site Xe.com allowing you to check the current exchange rate. STEP 6 - The settings entered will save and display. Click on the 'Close' button. The exchange rate for Euro has now been created. STEP 8 - On selection the following Screen will appear. Enter the relevant Currency and Tax Code as shown below and 'Ok' the changes by clicking the flag icon.